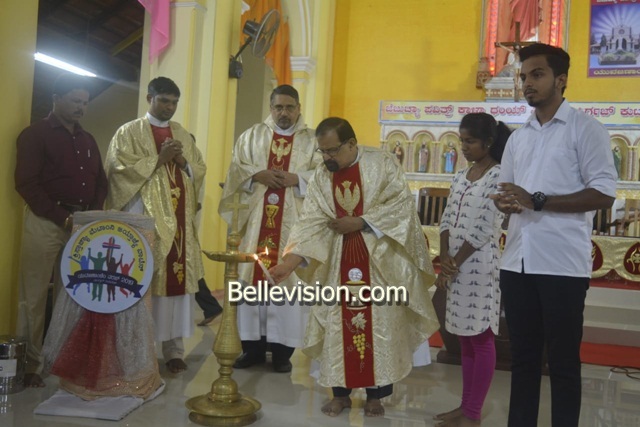 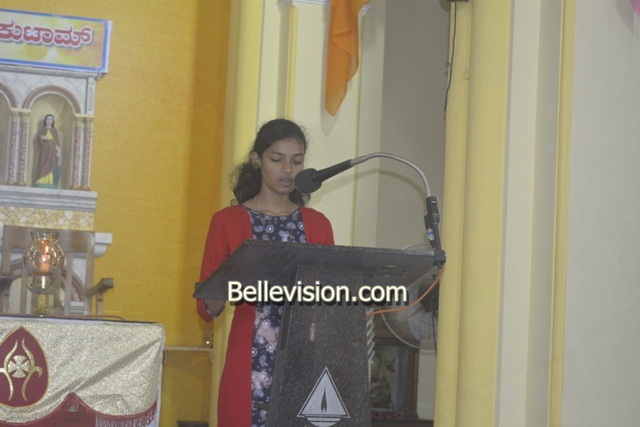 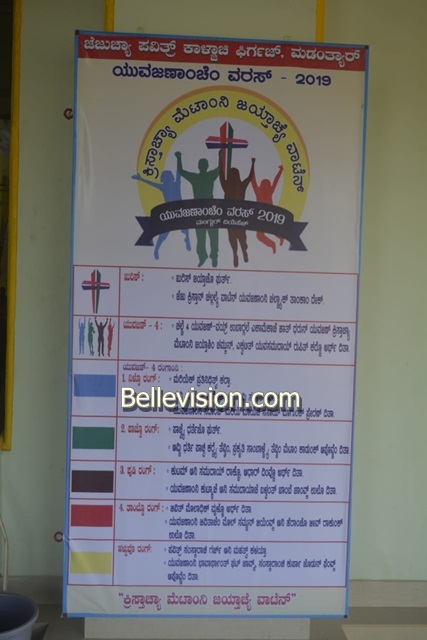 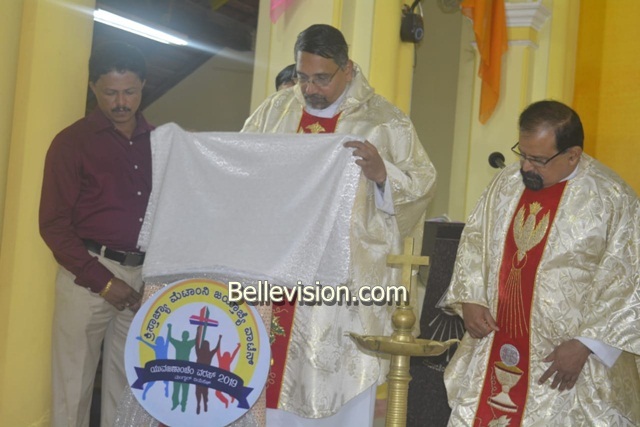 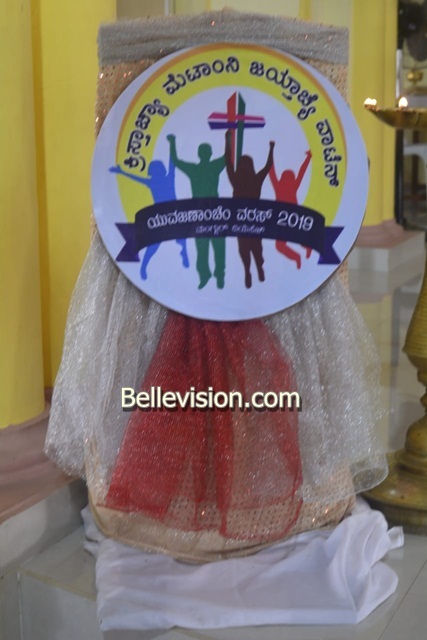 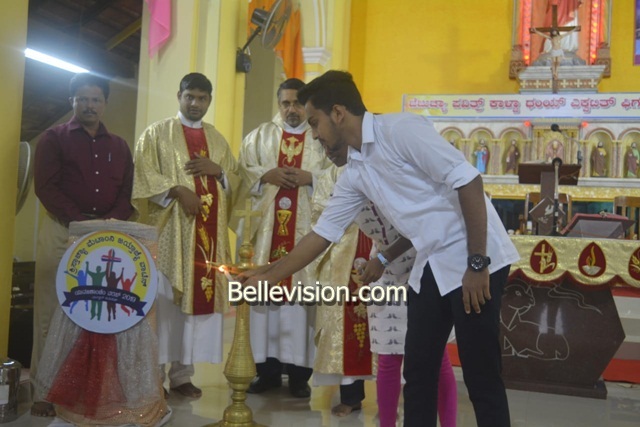 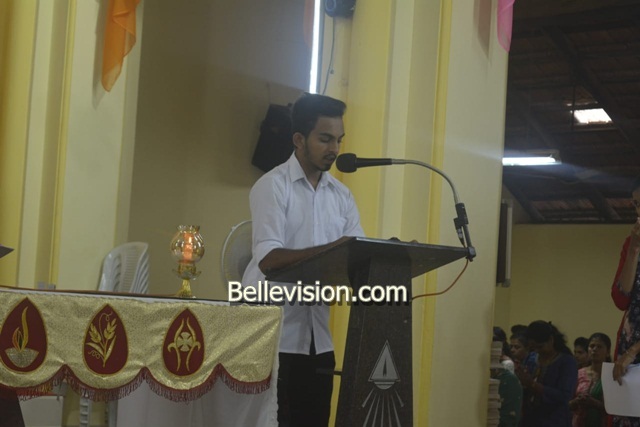 Beltangady, 16 Jan: As the Diocese of Mangaluru is observing 2019 as Year of Youth, under the leadership of ICYM Madanthyar poarish unit Year of Youth was inaugurated at Sacred Heart of Jesus Church, Madanthyar, here. 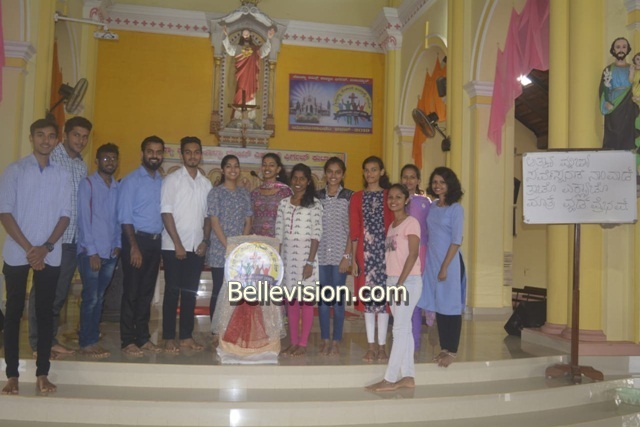 The youth of Madanthyar parish came together during 7.45am Mass on Sunday, January 13 and Year of Youth was inaugurated by unveiling the logo by Fr Joachim Fernandes – director, Small Christian Community. 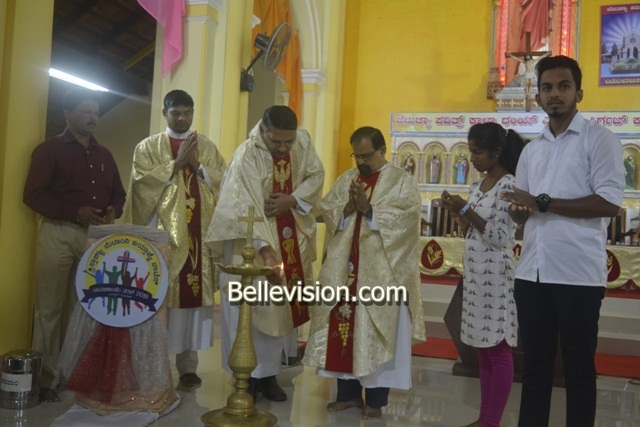 During the inauguration, Fr Basil Vas - parish priest, Fr Alwyn Dsouza - assistant parish priest, Leo Rodrigues – secretary, parish council - Sacred Heart of Jesus parish, Madantyar, Ronson Veigas - president and Lavita Fernandes – secretary, ICYM Madanthyar unit were present. 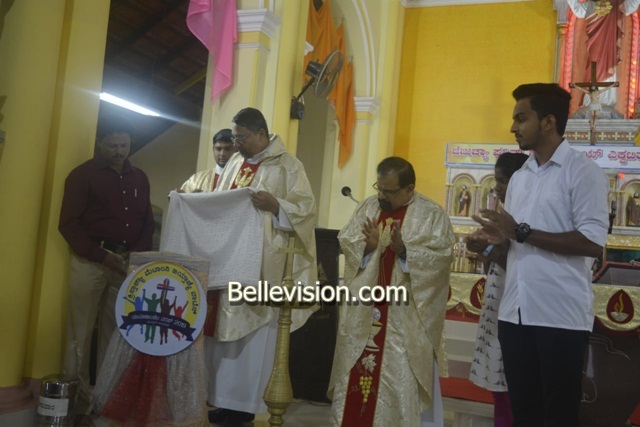 Fr Joachim Fernandes presided the Eucharistic Celebration and delivered homely about the role of youth, recited a prayer for the youth of Madanthyar and the country.